The Clear Advantage catheter is a premium , self-adhering, siliconee catheter designed for maximum wear time. It features aloe in the adhesive and a kink-resistant nozzle designed to prevent urine backflow. 35 mm. Male External Catheters (Condom Catheters). Coloplast offers a complete line of latex and non-latex male external catheters. A variety of adhesive styles, sheath lengths and one- and two-piece configurations are designed to suit a variety of end-user needs. 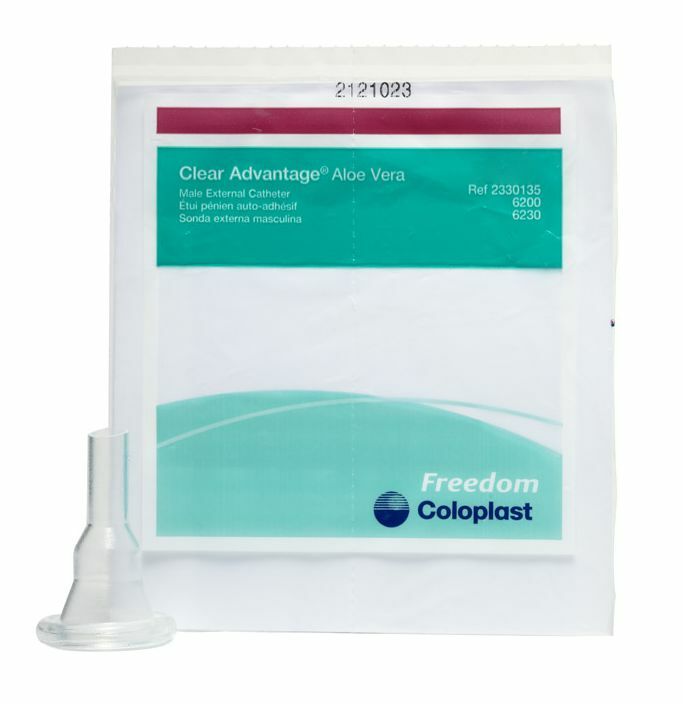 A complete incontinence system can be achieved by combining a Coloplast male external catheter and a Coloplast leg bag.